Here is another experiment with OpenCV face detection and recognition. Full source code is available on GitHub. The picture below is the recognition program running on my Windows laptop and the webcam is feeding live images to the program. My phone is in front of the webcam showing a photo. 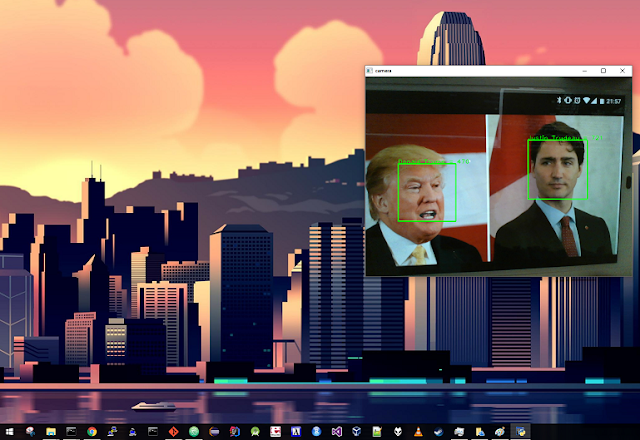 The face recognizer was trained with ~10 photos each for Obama, Trump, and Trudeau that I found on internet. To increase the accuracy, a simple transformation step was added to level the face images when training the recognizer.